The North Face Polish Freeskiing Open 2011: Register Now! The North Face Polish Freeskiing Open 2011 (TNF PFO 2011) in Zakopane is an unique chance to see top European freeskiers and compete with them in this part of Europe. For the 3rd time competition will be held in a winter capital of Poland on the 28th - 29th of January 2011. 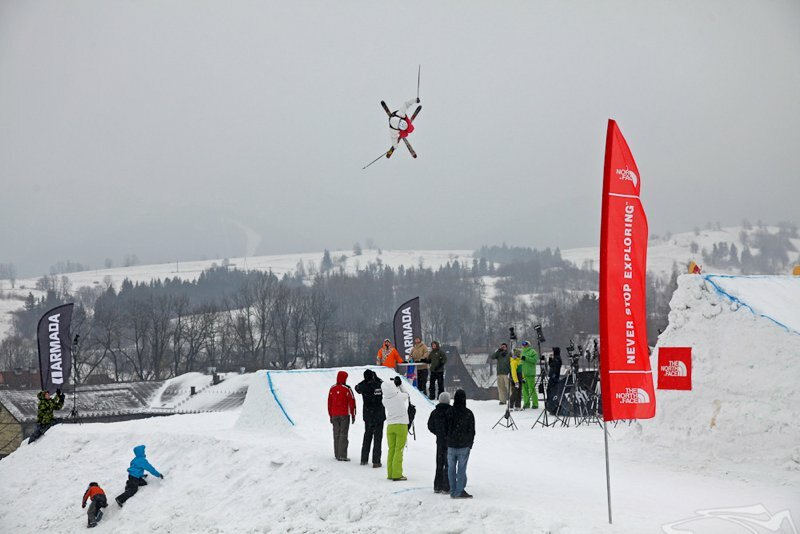 TNF PFO 2011 is the AFP event, as well as the International Freeskiing Championship of Poland. Last weekend of January, at the foot of magnificent Tatra Mountains, once again competitors will be able to take part in Big Air or Rails contest. Two-days competition will be held in a snowpark built and specially tailored to the best riders&rsquo; skills. Friday is a day of qualifying rounds, Saturday of semifinals and evening finals. After the champions are chosen and prizes given, there is still one more challenge to face &ndash; surviving a legendary afterparty. The idea of the Polish Freeskiing Open was born in 2004 in Zieleniec &ndash; small, scenic village located in the southwest of Poland. In 2009 it was moved to Zakopane. Annual competition gathers people who share one freeski passion and attracts riders from many European countries: Great Britain, Switzerland, Austria, Sweden, Finland, Czech and Slovakia. It is the most important freeski event in Eastern Europe. If you have what it takes to compete against top Eastern Europe&rsquo;s riders, take your car, book a train or plane ticket and show up in Zakopane, Poland on the 28th &ndash; 29th of January 2011. To be sure to earn your spot at the start list, go to our refreshed website http://www.pfopen.com and simply fill in the registration form. Its that time of the year!🤘 All film/productions companies and film producers are now invited to register for the Montreal iF3 2018 edition with a deadline of July 27th, 2018. Watch all of the freeskiing medal runs from 2018 Pyeongchang Olympics.